...he palpably retains the thrill of singing and performing. 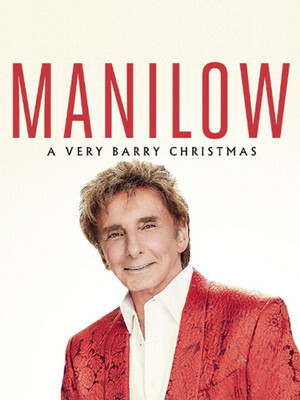 Why See Barry Manilow - A Very Barry Christmas? As tried and tested as chestnuts roasting upon an open fire, mischievous mistletoe and the arrival of those first winter snows, the croon of living legend Barry Manilow is a surefire way to cultivate that ol' festive feeling thanks to not one, not two, but three of his album contributions to the holiday music genre! The Emmy and Tony award-winning performer dusts off classic carols and revamped Yuletide tunes from 'Because Its Christmas', 'The Christmas Gift Of Love' and 'In The Swing Of Christmas', as well as smash hits like 'Mandy' and 'Copacabana', for a very special North American concert series entitled 'A Very Barry Christmas'. 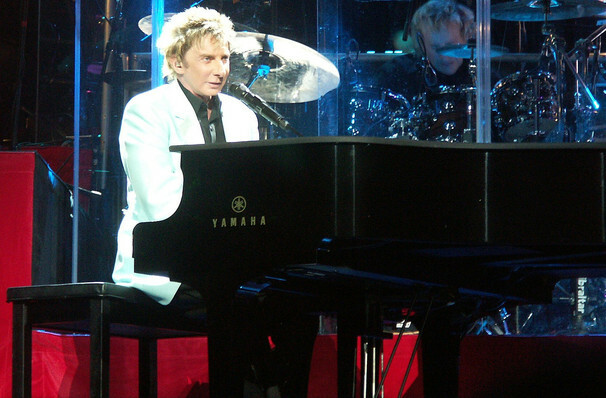 Born and raised in Brooklyn, New York, Manilow attended Juilliard before making a name for himself as composer and jingle writer in the 60s. His ear for melody soon had him penning his own songs and the instant Grammy-winning success of his debut single 'Mandy' in 1973 heralded a string of hit singles and albums through to the early 80s. He continues to rule the Adult Contemporary charts with his distinctive blend of pop and soft rock - 2017 saw the release of 'This Is My Town: Songs Of New York' which paid tribute to his home city with polished songbook standards and original tracks inspired by the rhythms of the Big Apple. Sound good to you? Share this page on social media and let your friends know about Barry Manilow - A Very Barry Christmas at American Airlines Arena. Please note: The term American Airlines Arena and/or Barry Manilow - A Very Barry Christmas as well as all associated graphics, logos, and/or other trademarks, tradenames or copyrights are the property of the American Airlines Arena and/or Barry Manilow - A Very Barry Christmas and are used herein for factual descriptive purposes only. We are in no way associated with or authorized by the American Airlines Arena and/or Barry Manilow - A Very Barry Christmas and neither that entity nor any of its affiliates have licensed or endorsed us to sell tickets, goods and or services in conjunction with their events.